We’ve just revised Resonate’s marketing site. 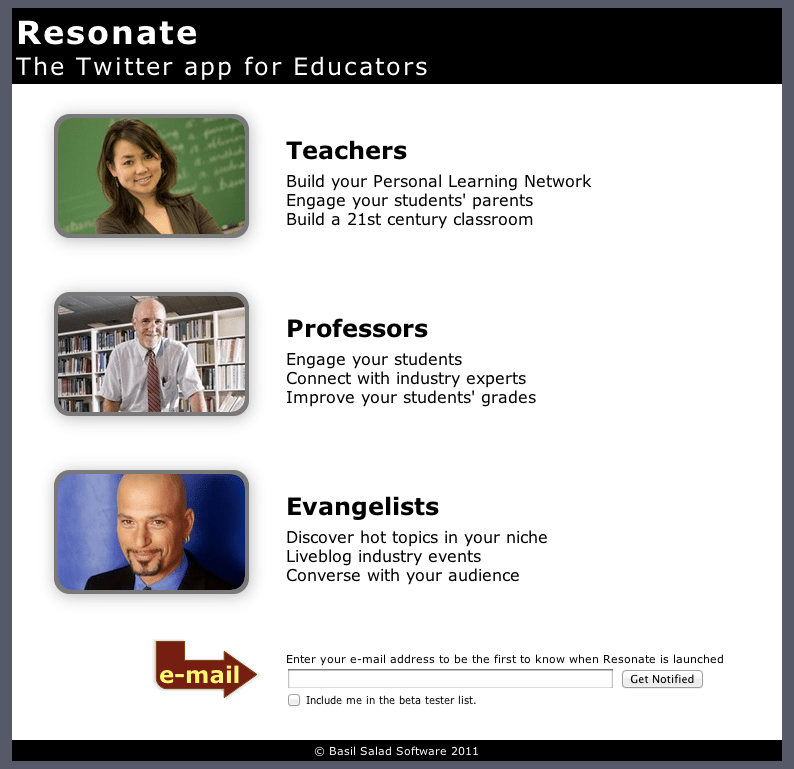 After a number of researching, pivoting, and contemplating, we’ve settled to design Resonate as a Twitter client for use primarily by educators. K-12 teachers – instructors of non-degree formal education, which covers elementary school up to but not including diploma-level schools. College professors and their teaching assistants – instructors for diploma, undergraduate, and master degrees. Product evangelists – or technology advocates in some company that speaks to educate the market about products or services that the company provides. Why education? Because educators are thought leaders of small tribes: their students. Furthermore a number of researches and experiments have shown that proper use of Twitter can benefit both instructors and students, but it looks like this market is largely underserved. Please have a look at the site: http://resonateapp.com – and sign up there if you like to be a beta tester.